I fully appreciate that for some of you the idea of “Air Miles” is not one that seems worthwhile considering, or even an exciting subject to read about, especially if your travelling infrequently. 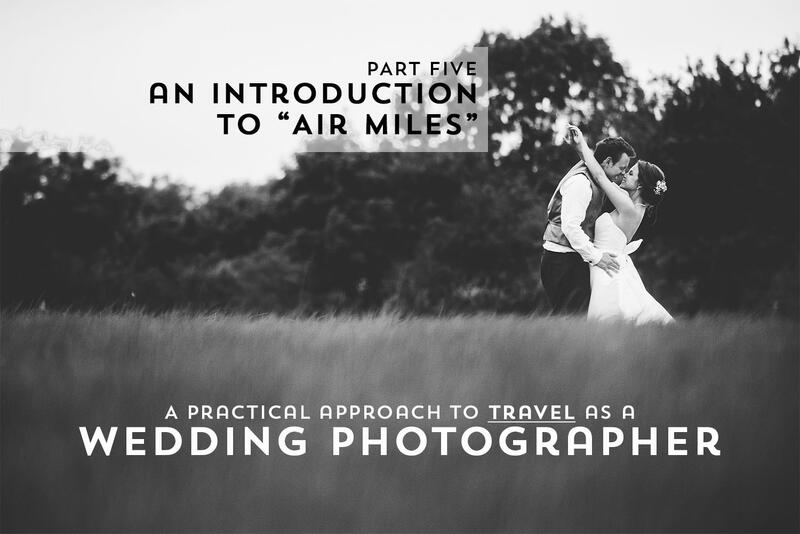 In fact, whilst most people have a basic understanding of what “air miles” are, few people actually understand the benefits and loop-holes that can really pay-off for you, and hence why a few, myself included, do find them extremely interesting. Admittedly, it’s normally by some accident that you come to discover more than a “points for flying” explanation of these things called ‘miles’. I have avoided exploring in any great depth the tricks of mile hacking here, but have instead chosen to explain a few facts of the industry. Unfortunately, airline miles and the world of; money saving, point collecting, status flying and credit card accumulation is a little more complex than that simple ‘points for flying’ explanation that I wish it could be. However, that simple explanation is the base for any deeper understanding and here I hope to plant the seed for learning more of what could work for you independently. ONE Understanding the difference between Air Miles ‘points’, and Airline Loyalty ‘status’. More often than not, I hear people discuss points when actually they mean ‘status’. The simple difference is this; points are like pennies in a jar, they can be collected and redeemed against the cash value of a ticket. Status on the other hand, whilst often accumulated on a point based system, CANNOT be redeemed for cash, but rather are more like stars on a child’s school card. The more stars against your name, the more you are rewarded. TWO Once you understand that there is a difference between ‘money off’ and ‘building status’ with an airline, the next incorrect assumption is that ‘this is only worth knowing if you fly ALOT’. This is simply not the case. Mid-level tier status with OneWorld (the alliance that includes; Iberia, British Airways, Qatar, Air Berlin, and 11 others) can be obtained by flying as little as 4 flights (a mixture of long-haul business and first), and is easily achievable by splashing out just once every 18 months on a return business trip to Asia (for circa £1,000!) and then taking 4 additional short-haul flights for as little as £39 each. The same status is also achievable by taking 25 return trips in economy seats with the cheapest tickets you can find. However shopping around and splurging once on a long-haul business flight can be very rewarding – plus it’s an experience I highly recommend! ;) I did this recently for as little as £800, and as well as the status guarantee, got to take 4 long haul business class flights with Qatar for my troubles – not too shabby. “So what? Now I get a free bacon roll?” I hear you ask. No! Sadly not. But for the next 12+ months, you will have FREE access to all One World airport lounges, priority check-in, priority boarding, free seat selection, free additional checked-baggage and fast track security at some airports… Every Time You Fly! For me, if I had to pick between points and status, I would pick status every time. It’s status that makes my travel life so much more productive, enjoyable and rewarding – not the ‘points’. Gone are the days where you received 4,000 points for flying 4,000 miles. And likewise, it’s complete rubbish you require 4,000 points to fly 4,000 miles. Personally, I value a point at £0.01. Fairly ridiculous right? well… wait. I know other people that will value them as little as £0.005, and some who value them as much £0.03. Yep, 3 whole pence! The reason someone might value a point at £0.03 is two-fold. Firstly, the cost of collecting them in the first place i.e) did you pay for the flights personally, or did the business? If you collect 10,000 points for a flight, but someone else paid, then clearly those points were free to collect. Secondly, what are you redeeming them for and what are the alternatives? Would you have paid for business class? Are you using them for shop vouchers, first class flights from London to Australia, or a 2-hour economy flight? How you collect/redeem and IF you would have paid the cash alternative, are all factors to consider. Anyhow… my point is… (excuse my accidental metaphor), that it can get confusing when you don’t actually know what the damn things are worth! Over the years I have developed an understanding of what a single point is worth to me, and it will take some time to understand what they can be worth to you. Yet, there is absolutely NO REASON not to collect them. At the very least you can convert them to an M&S voucher, or the like (I am not recommending this – it’s an option). My advice would be to focus more on the “status” if you take up to 25 flights a year, and if not, then don’t dismiss the points benefits. When combined, they can create a rewarding mix. FOUR Finally, I want to install the knowledge that the best way to collect points, is not necessarily flying. In 2016 I collected approximately 160,000 points, at a personal valuation of circa £1,600.00. Not bad, hey? However, as little as 25% of those points came from flying. The rest, primarily, came from credit card spending and credit card sign-up bonuses. This is one of the secret ingredients that point collectors exploit. It’s still possible to collect those sort of miles from flying alone, but you will need to be consistency flying A LOT of long haul in business class. Since I fly 80% of the time in economy class, the credit cards are my keys to a few reward flights each year. (1) You can build status within an alliance by flying with ANY of the members of that alliance – interchangeably. You do NOT have to fly with just ONE airline. (2) Likewise, when you gain status with one airline, you then have the same (or similar) benefits, with all other airlines, within that alliance. (3) Whilst I talk about ‘OneWorld’, ‘airline alliances’ and ‘status’, you should know that there are actually THREE different alliances, the other two being; Star Alliance and Sky Team. Everything I have said is almost certainly transferable knowledge, accept the terminology, and the values might be slightly different. If you live in the UK or Spain, it’s likely OneWorld will be for you. If you live in Denmark, Sweden or Norway, then it’s likely to be Star Alliance, because of SAS. Check the airline you fly with or could fly with, and which alliance they belong to. Status with an airline can be incredibly rewarding, and productive if you let it! Find Part Four: “Staying Productive on the Move” here. Probably the best word I can use to describe my attitude towards travelling hassle free is – consistency. Now, I can already hear the nay-sayers thinking, boring! However, stick with me, the title of this blog is not, ‘adventure at every corner’ and whilst I love some adventure as much as the next person, when working and when being paid to be somewhere – consistency, trumps adventure, every time. This is not just a joyride, it’s a job too. A job that when coupled with a stress-free travel environment, and amazing couples, naturally breeds enjoyment and perhaps even – fulfilment. Control. The first way to create consistency with travel, whether 5 trips a year or 50, is to implement personal control over your own travel arrangements. Having your clients book your travel might seem like a golden idea and a complete time saver for you. It’s not! You won’t be thanking them for booking you on the cheapest flight possible or the earliest flight out (which also happens to be the airport furthest from you). And you certainly will not be thanking them for inputting your passport details incorrectly on the API. Having control, researching and picking the travel arrangements that best suit you is one of the best tips I can offer. It might not seem like a big deal, but when you have control, you can be assured that you’re travelling on the correct flight, with the correct airline, form the correct airport. What’s more, if you start some loyalty with an airline later down the line, it’s much easier to credit any previously flown flights toward some status. More on that another time. Just to give you one more crucial reason this is important, and believe me, there are many many more… Mobile boarding passes with most airlines are generated within your online account (or mobile app), so to save having to find a printer or going back and forth in emails with your couples to try and receive the correct login details you need – Book Your Own Travel! Consistency of Airline & Airport. Flying with 10 different airlines, from a variety of airports, all with different procedures and baggage requirements is no fun whatsoever. Whether you choose Ryanair, EasyJet, SAS, Iberia or any other global airline, it’s rewarding in both time, and often money, to stick to one, or a small handful when flying – especially so when building loyalty. Of course, it’s not always possible to travel with the same airline or even from the same airport. On occasion the route you wish existed – simply will not. You may have to fly a new airline or fly from a different airport, or both. When this happens, you’ll need to do a little more research into baggage restrictions and allow yourself more time to travel through a new environment. Where at all possible, even for the sake of a few £$, it’s my view to choose a familiar airport and airline to save yourself time and energy that you could otherwise be deployed in your business elsewhere. Repeat, Repeat, Repeat. Last year I took more than 30 trips, visited 12 countries, totalling more than 60 international flights, stayed over 100 nights in hotel rooms and hired enough cars to of received top level Avis status TWICE OVER! I say this because it illustrates a point that then when you repeat any task, like booking travel arrangements here, as you repeat you get very proficient at doing it quickly when you’re visiting the same websites to book the same/similar flights, hotels and cars. I always implement a quick Kayak search to make sure I am not overpaying too much for my loyalty to an airline, airport or hotel chain, but simplicity, speed and familiarity are my friends. Having a repeatable system when booking travel, even if only for a few trips a year, is unquestionably useful and provides peace of mind that all the boxes are ‘physically’ ticked. I use Trello to keep track of all my travel arrangements (and nearly everything else, including this article). Most of my flights and hotel bookings are automatically added into my digital diary, but it’s in Trello I can find all my details and keep track of what I have, and haven’t already booked, for any given trip. You bet Trello will give me the answer. You’ll save yourself so much time in the long run by taking half an hour to arrange your own trip as opposed to having your clients do it for you. What’s more, every airline and major hotel chain takes American Express, so you can bag some nice cash back or miles for some personal travel too! Your clients don’t know what’s best for you, so next time they offer to book things for you, educate them that you need to have control and they will thank you for it, don’t they have enough to do without worrying about your travel requirements anyhow? If you only plan on travelling once or twice or year, this is where a lack of experience can really hurt you, simply because you’re unlikely to be prepared for the practicalities of travel. If you have a driving licence (myself included), this is specifically aimed at you. When you drive to weddings it’s easy to get yourself in the habit of having every backup and eventuality covered. Your car, if anything like mine, can quickly become an Aladdin’s cave of things you might need, someday – next year – never! When you fly, you don’t have the luxury of carrying 5 cameras, 10 lenses, 2 tripods and 3 sets of spare clothes. So when you start to travel frequently it’s important to build your equipment base and the foundations of ‘what you actually need’ around the worst case scenario of what you can carry. 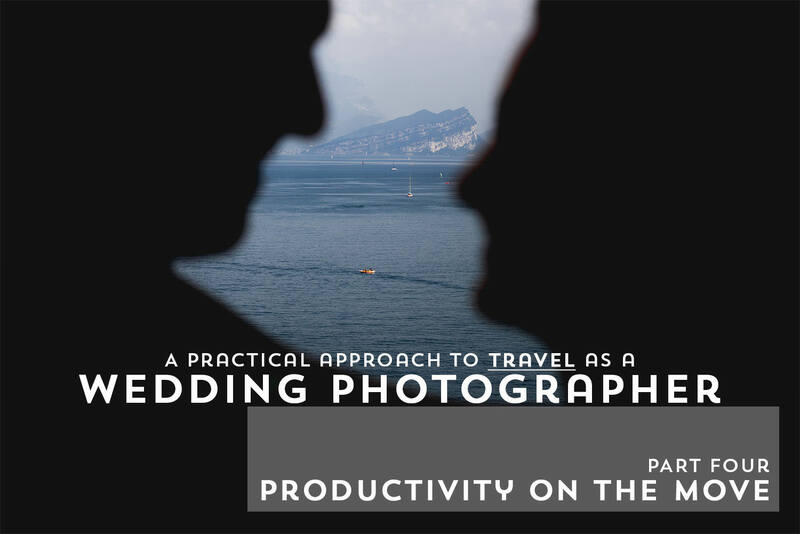 This is why I have built my ‘core’ photography equipment that I use weekly to document weddings around the basis of 12KG’s that can fit inside a Think Tank Airport Advantage for an ‘arhhhh’ Flybe flight. Whilst I rarely travel with that little amount of equipment, (thank you EasyJet, British Airways & Iberia) I know, if need be, I can do it – and that is a comforting feeling. Sure when flying isn’t involved I may have a few extra items; an extra set of clothes than normal, or maybe a lighting stand, or soft box that I never actually need – but very little else. When you become familiar with a set amount of equipment in your car, then come to realise you can’t (or otherwise make it hard for yourself) to travel with that same equipment – life can become frustrating. In reducing your equipment, you will actually have made life much simpler for yourself, not to mention a whole lot lighter! – your neck and back with thank you for sure. The key really is that you quickly become familiar with the same selection of equipment available in every location, anywhere in the world. 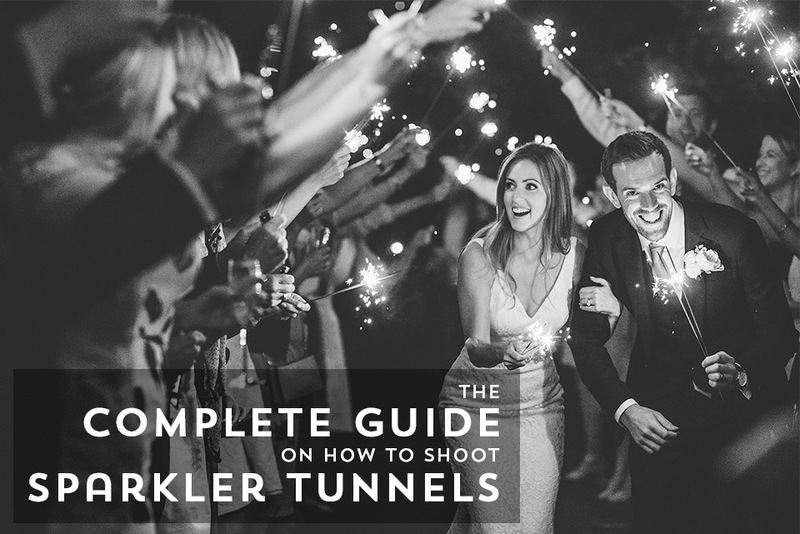 It’s the same equipment if I am shooting a wedding in Cornwall, Marbella, Lake Como, London or Bali – you have got to love consistency! Plus, who needs 6 flash guns and 10 lenses anyhow? Slim your gear down, make life simpler and you’ll thank yourself. Minus Stressful Situations. Take some time to think what it is that could make you stressed, or just a little apprehensive, and then reverse engineer that situation to think of things you can do now, to help avoid or better eliminate what’s to come. Multiple copies – 4 or more in my case. 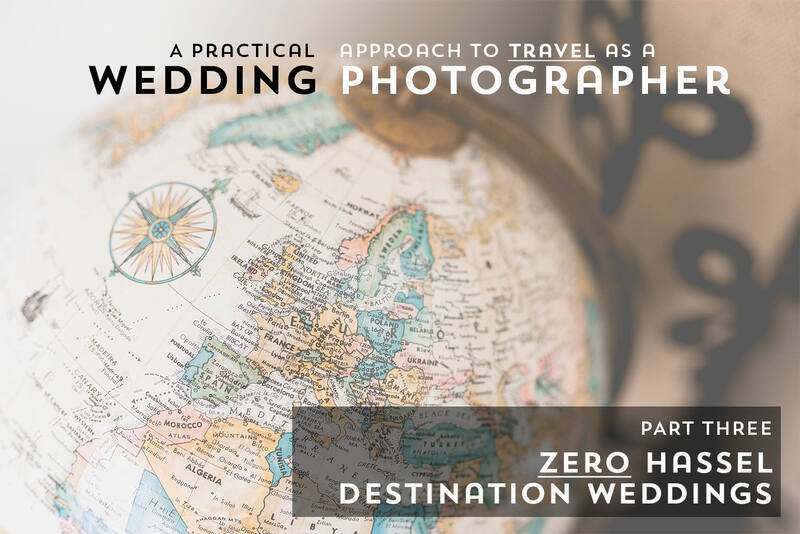 In my view the above should be implemented whether shooting a wedding 5 or 5,000 miles from home, but when you travel you involve a few extra risks and thus for me this is completely routine. (1) If you find yourself frequently on the limit with hand baggage, consider investing in a different bag. Personally, I love a bag with wheels, as I hate sweating because I’m wearing a backpack. However, backpacks naturally have less weight (no wheels or handles) and can ‘appear’ to look less bulky, especially if you’re flying with the budget airlines. Worth considering. (2) If you buy a bag with wheels, avoid 4 wheels, it seems like a good idea at first, but once you’re on a bus or train and let go of the handle, you’ll soon find your bag rolling away from you. (3) If you get asked by ground staff to check your hand baggage due to the plane being full, kindly explain that you would prefer not too because there is $$$ of fragile equipment within. This will normally resolve the situation. To avoid being forced into an argument, board the plane earlier! Worst case, if you get given a luggage tag to gate check your bag, promptly remove it when out of sight and walking towards the plane. I don’t know about you, but I hate having to carry cash at the best of times anyhow – especially multiple currencies. It’s not only unsafe, it’s costing you money – serious money! When you convert currencies, someone is benefiting, it’s a transaction in itself and in every transaction someone is making money, and it’s definitely not you, and let me tell you – it’s more than a couple Euros when you add it up. While watching someone exchange money at an airport makes my insides scream to the hills, there are some smart ways to get cash if you need it. Using online comparison tools to mail order currency to your door for example, (http://travelmoney.moneysavingexpert.com). However, this is still an extremely inefficient way to get your cash in the first world – so my philosophy is ditch the cash all together! If you’re travelling to the middle of a rainforest, on a boat out at sea, or elsewhere away from a phone line or ATM, then yes, okay, re-think your strategy slightly. Otherwise, save yourself some money, collect some points and have some extra drinks on your holiday’s instead! Sadly, it has been confirmed yesterday by the Supercard team, that they will be withdrawing the card from circulation on the 24th June 2017. This withdrawal is not just for future customers, but also for all current card holders. So, if you have a Supercard, from the 24th June 2017, it will cease to work from then onwards. As I go on to mention below, a secondary option for me, alongside the Supercard, has been a 0% FX fee credit card. Two of the top players are by the Post Office and Halifax. The Halifax Clarity Card has the additional benefit of not charging any fees for cash withdrawals, as well as normal purchase transactions, something I have not seen on any other FX credit card. However do be careful to pay off IN FULL every month. Another option pointed out to me recently is the Santander Zero Card – if you are already a Santander current account holder. None of the above mentioned cards will earn you cash back or reward points of any kind on your spending, but since the majority of debit and credit cards in circulation charge a 3% fee for all foreign spending, this might be something you can overlook, as the 3% saving is likely to outweigh any points you may have earnt. Is there not another Supercard ‘like’ product? The free version of the card comes with £5 free spending when you are referred, see below. Like Supercard, a ‘Curve’ card is NOT a credit card, and thus, there are zero credit checks. Another great thing about Curve is that it can be used in the UK too and has its own reward scheme. The negative is that does charge you 1% on foreign transactions, however, you can link the Curve app to a UK reward credit card (Mastercard & Visa only), and thus offset or completely eliminate the 1% fee. A final point is that there is currently a monthly cap on international cash withdrawals of £250 (or equivalent). *please note; I also receive a £5 credit for referring you. For those of you not wishing to have an additional credit card to spend abroad, a final option would be Caxton or FairFX pre-paid Mastercard. On most days the FairFX does offer a slightly better rate over Caxton. Both are very similar, offer the same pre-paid service coupled with a mobile application, and both can be loaded anytime with a number of currencies. I have one, but don’t like to use them, unless I have to. They can be great to lock in an exchange rate you are happy with, but they do tie up cash and you never know what is going to happen with the exchange rate, so what might have been a good rate 3 months ago, might not turn out the way you planned. Of course, the reverse is also true. Whilst the rate is good and much better than cash, it is historically not as good as that of a 0% fee credit card. A Supercard is a FREE product offered by Travelex that when combined with it’s iPhone or Android, App will allow you to turn any of your existing credit or debit cards into a ZERO commission overseas spending card. What’s more, you can link a Supercard to a reward card too. Let’s say you have an Amazon cash back credit card, you can link your Amazon card to your Supercard and then all your international spending becomes not only fee-free, but you can now also collect cash back on your spending too! Win Win. If needed, you can also use Supercard to withdraw cash from an ATM in the vast majority of local currencies. This will cost you 1%, which is far superior to the standard 3% charged by most UK banks on foreign transactions. If you bank with Metro or Halifax you may be safe, but do check your own account. Current accounts from; Barclays, HSBC, Santander & Lloyds are all terrible for overseas spending – use them if you like giving your bank free money. Supercard is NOT a credit card, it only uses the credit available on current credit cards or cash in your current account. Supercard handles the transaction which is a near perfect rate, whilst your linked card is debited in GBP. Supercard is a great option for most people, however since it relies on a communication between two intermediaries, it can, on occasion, fail. Leaving you in a little bit of a pickle. Also, if like myself, you just love to be rewarded for ALL your spending, at the highest possible rate, then you may want to consider a specialist American Express (Amex) credit card. Supercard has an American Express (Amex) restriction and thus does not allow me to make Amex level rewards in places I could otherwise receive 1%+ in cash back. Mastercard credit cards typically offer no more than 0.5% in cash back, or comparable rewards. There are several credit cards available that will offer rewards for a small annual charge, my top pick and the account I currently use is the Lloyds Avios Duo, this provides you with both a Mastercard and Amex which you can use interchangeably and collect Avios globally. The annual fee is £24. You also receive an upgrade voucher for one Avios qualifying flight each year you spend £7,000 or more on the cards combined. If you’re looking for a fee-free card then the products offered by Halifax (Clarity) and The Post Office are both cards I have held in the past. I am also aware of the Santander Zero card, which might be easier if you already bank with them. What do you do use Barney? I use the Supercard (it’s FREE! and no credit search), and the Lloyds Avios Duo cards interchangeably. I am always paying ZERO exchange fees and always being rewarded for any spending. The Supercard plus a backup card with minimal or zero fees is a good combination for most people. Especially if you don’t want to apply for any new credit. Not having any cash, can, at times, be a problem. 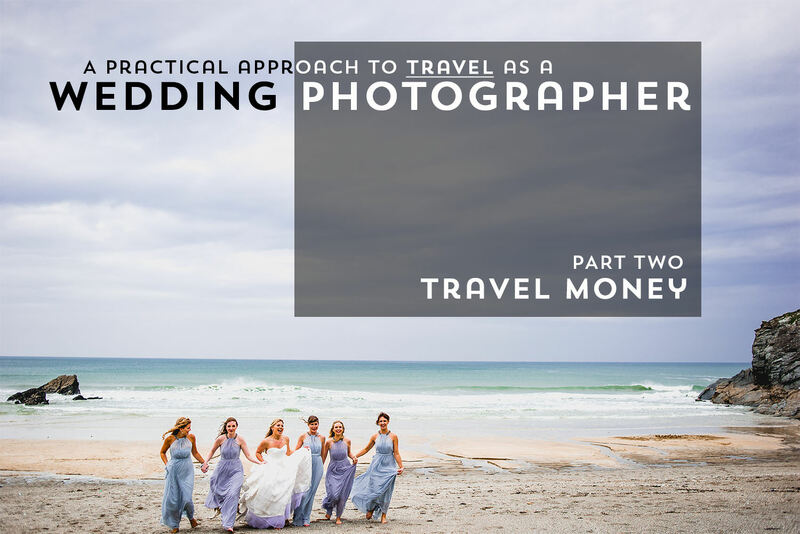 My philosophy is to always carry around £20 in cash or currency equivalent, and if driving – carrying that cash in change – the most common use I have for this cash when travelling for weddings? – car parking. Personally, I’ll choose to withdraw that cash on arrival at my destination airport at the first ATM I see. I use my Supercard and pay 1% for the convenience, which I’ll then charge to a Credit Card redeeming 0.5% (or more) and then the cost to me is 0.5% at most. *most tolls in France/Italy/Spain now take Amex. Ultimately the amount of cash you need for any given trip is dependent on where you’re heading. My go to amount is; £20, or 20euro, or $30 – but make your own judgements. 90% of the time I never use any cash and end up keeping it for the next trip. Why have you not mentioned Visa? Historically, Mastercard provides a better day-to-day exchange rate than Visa. Simple. Visa, Mastercard and Amex all set their own daily ‘flat’ exchange rates, and Mastercard nearly always comes out on top. Hence you’ll find most ‘globally friendly’ cards to be Mastercard. If an Amex is ‘internationally friendly’, then the slight extra 0.001%* you’re paying for the conversion is likely outweighed by the additional rewards offered. Just like when you back up your images 3 or 4 times before leaving a wedding, be sure to have just as many backups for your spending. The most common stressful situations I hear about when people travel is they take two, or even worse, just one card away with them. Then to compound the problem, because they have not travelled outside their home country for a few months, both cards have been locked on day one of their travels for ‘security’ reasons. Whilst thankfully this is becoming a little easier by being able to confirm a transaction via a phone app, or by text, it’s not fixed completely – so be aware. Some banks and credit providers still require ‘notice of travel’. The Lloyds card I mentioned above allows you to do this within the mobile banking app. Once you’re travelling a couple times a month though, this problem does seem to fade away as banks get used to your spending habits – it’s been a long time since I had a ‘security’ check and I never tell anyone when I travel, not even through an App anymore. – not that I suggest this as a best practice, it’s simply because I frequently (i.e weekly) travel between European countries and my bank(s) have become used to this. The main point is travel with an assortment of cards, and if possible split them between two separate locations within your luggage, I always keep one or more with my passport, whilst several others are in my wallet for day-to-day spending. A final fail safe I implement for access to cash abroad is keeping copies of all my cards in a secure online space. Somewhere online which is password protected and that you can access from any computer. A dedicated dropbox account could work, or a LastPass style online volt, just don’t forget the password! You should also use this space to keep copies of your passport, travel insurance, medical cover and driving licence. If the worst were to happen, at least you might have means to check into a hotel or pay a medical bill. A final point on money, whenever both myself and my other half are travelling together, we always carry an online banking card reader (or number generator) so that we can login to our online banking or pass security with our telephone banking – all worst case scenario stuff, but it’s much easier to be prepared, right? Also, if you need your debit card to generate a code, then don’t forget that too! In my experience airlines rarely have scales at the gate and rely primarily on check-in staff to weight cabin bags. Having your boarding pass on your phone (or printed) means that you can skip the check-in desk, head straight for departures and in most cases not have your carry on weighed at the time of boarding. Always board as early as possible to secure your overhead locker space. Keep copies of all your important documents in an online vault such as LastPass or Dropbox. Plan for the worst case scenario and you can stay calm when, one day, something happens. As a write this Article in the Spring of 2017, the laptop restrictions have just come into force for a selection of 7 middle eastern airports, as well as Morocco, Egypt, Tunisia & Turkey. Currently, the restrictions vary between the UK and the US and it’s important to remember that the restrictions only effects inbound flights at the time of writing. It is beyond the scope of what I had hoped to put on paper for this article, but seeing as though my inbox currently contains a sprinkle of questions surrounding this subject, I thought it worth highlighting here. I am not planning on travelling back to the UK from any of the affected airports until the Autumn of this year – maybe the restriction will be removed by then – I doubt that very much, but optimism is key. Whilst I will keep myself updated with any progression, or relaxation, of these new rules, I don’t expect to see them adopted globally and thus have not covered them in any further detail here. A Travel Geek. Is what many of my friends and family would call me, and not in the sense of; ‘What should I do in Nepal, Barney?’ because I honestly wouldn’t have the foggiest clue. Whilst some would say I am well travelled, maybe I am, depending on your own personal travel life, and how much is ‘ALOT’ to you. Where my knowledge and ‘geekiness’ really lies though, is the method of travel, namely, flying. What I do more than ‘travel’ is – ‘commute’. It is off the back of this frequent commuting around Europe (and further afield at times), that has led me to write this series of articles about the lessons I have drawn from my time in the air to date. 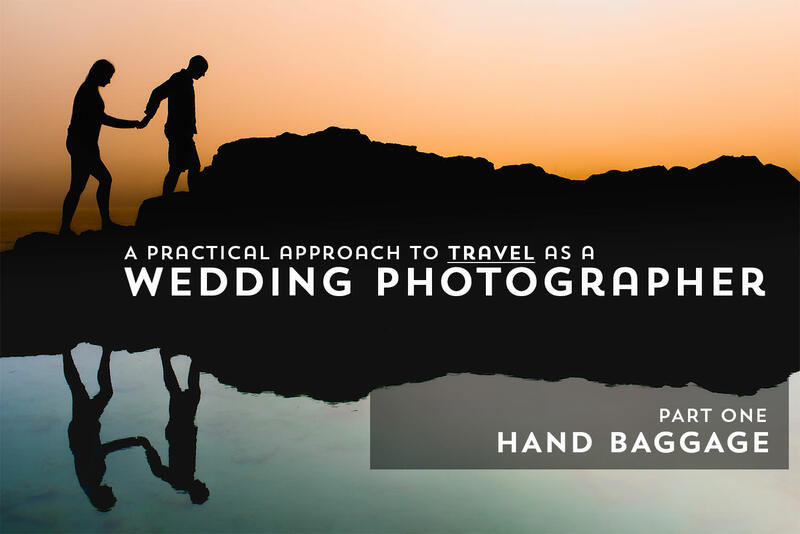 Every week I get some form of a Facebook message or e-mail from various photography friends asking me about travel tips for weddings, travelling more generally, and how they should best approach it. Whilst this article, and those that will follow, won’t be very philosophical, they will be extremely practical and offer an insight into the frequent things I do, to ensure stepping into an airport 100+ times in 18 months, is both a comfortable and productive, experience. Toward the end of each article, I am will also include a list of some of my top travel tips. These are one or two liners designed to make you think about what you could do to make life just a little easier for yourself. Opportunity Cost. This is something I will address more directly later, but off the top, I wanted to let you know that I write this from an opinion that ‘spending a little more’ is often a good thing, and ‘the cheapest option is not always the easiest’. I’m happy to pay for an easier, simpler and more productive life. Probably the group of questions I get asked most are in some way related to hand baggage. Either the answer being a simple, “yes, the way forward is hand baggage ONLY”. Or slightly more interesting, the words ‘how’ or ‘what’ being placed in front of those two magic words – hand baggage. Before you can understand fully ‘how to travel hand baggage only’, you must first understand which airlines you can travel with. If like me, you shoot with Canon or Nikon DSLRs, as opposed to the rising stars of the Fuji world or other smaller/lighter bodies, then you’re probably going to be more restricted. Like me, you’re going to be restricted based predominantly on the maximum hand baggage weight imposed by airlines. Ryanair, Monarch, Norwegian and Flybe all impose a weight restriction on their passengers. Whilst the subject of the size of your hand baggage is often the most discussed topic, it is the weight restriction for photographers, like you and me, that is often the most concerning. An example. My Think Tank Airport International V2 (there is now a V3 version), fully packed with cameras, lenses, flash equipment, laptop, chargers, batteries & clothes for a 3 day trip in Europe, weighs in at around 15kgs. That’s without including another 4kgs in my shoulder bag. When combined, which is how it should (and can be) calculated for many airlines at check-in or at the gate, we are talking close to 20kgs! In practice, I have not had any experience of a bag being weighed by ground staff at the gate. However, if they did, I would be in the wrong if flying with airlines like Ryanair, Flybe & Norwegian. Touch wood, it’s not happened to me. I have heard of it happening, and even seen it happening to others, and thus I will always do my utmost to stay on the correct side of the argument by flying other airlines that have less strict criteria. Side note: It would be nice to see Ryanair, Flybe & Norwegian relaxing their carry on criteria for premium passengers. Weight. The weight I carry varies from trip to trip, depending on the climate at the location(s), how long I am away from home and if I’m shooting a wedding or not. In all honesty though, my bags never really weighs in below the 12kgs mark, and on occasion can be in excess of 20kgs. For me, and I’m sure for many of you, this is a problem when frequent weight restrictions from the European carriers tops out at 10kgs (Ryanair, Norwegian, Flybe and Monarch), or as little as 6kgs if flying Thomas Cook. If you are flying long-haul, Emirates and Qatar (whilst both offering an exceptional long-haul economy product) have a ludicrous (in my opinion) 7kgs maximum for economy passengers! Of course, one natural answer is for those of use shooting with DSLRs, to switch over to the smaller and lighter cameras when we travel. Enter the Fuji era for many. The only difference is having to move 2 bodies, 3 lenses and my laptop into my shoulder bag for the flight. If only more airlines would practise this, but I can understand why not, it’s certainly a hassle for the ground staff and is only really common on small prop-based planes. Whilst I would never say never. I’m not a fuji shooter – today. AND I really enjoy the convenience, simplicity, time-saving, and cost, of hand baggage only. Enter EasyJet. Orange is easy. Yes, it really is. For many, EasyJet can be your very best friend, unlike many of its competitors, EasyJet does not impose ANY weight restriction whatsoever. You can bring two bags as standard, (guaranteed by paying approx. £20) which is now standard across most European carriers. Yet what’s more, with that small £20 fee (or less), you not only secure your bags in the cabin on every flight, but you can also; select a seat, get extra legroom and board the plane first. Depending on how you book EasyJet call this service ‘Speedy Boarding’ or ‘EasyJet Plus’. This provides you with ‘status’ like features (more on status shortly) that other ‘legacy carriers’ only provide to their loyal frequent flyers. It’s very similar to ‘Ryanair Biz’ but with Ryanair, you still have the 10kg limit as well as a smaller carrier on size which means replacing my Airport International V2 with a smaller bag such as the Airport Essentials. EasyJet also permits the larger cabin bag size of 56cm x 45cm x 25cm. Tip: If you fly with EasyJet more than 10 times a year, then definitely look into becoming an ‘EasyJet plus cardholder’. EasyJet plus negates the need to pay £10-£20 for each flight for the above extras and thus if you fly enough, the £200 fee might well be worthwhile. I personally don’t fly EasyJet for work enough to concern myself with becoming a cardholder, but if I did, I wouldn’t hesitate. You can also get reduced fees for your spouse or children to join too. OneWorld. The two carriers I fly most are British Airways and Iberia. Since 2012, both are owned by the same company, Airlines International Group (AIG). Both have 23kg baggage allowances, both permit two carry-on bags, both permit the larger 56cm x 45cm x 25cm cabin bag size and both belong to the global airline alliance called OneWorld. Airline alliances, of which there are three main players globally, OneWorld is just one, offer a way in which airlines from different companies can integrate together and offer rewards for flying within that same alliance. It’s a little like a referral system, where one airline recommends the other and visa verse and any ‘perks’ or ‘status’ you have with one – you, in turn, have with the other. We are verging on the lines of discussing air miles at this point, but I don’t intend to get into that here. Your intuition that this is an entirely separate article in itself – is correct. For now, understand this, as with EasyJet Plus you can receive similar services or ‘perks’ from the likes of British Airways and Iberia, by flying with them frequently. However, unlike with EasyJet where your EasyJet Plus card only works with EasyJet, with British Airways and/or Iberia, your card (or in this case your ‘status’ – as it’s called) is transferable between 15 airlines worldwide. Service. Many people, especially those who flew British Airways back in the 80’s and 90’s, will try and tell you that British Airways and other national carriers have gone down the toilet since then. Whilst this might be true (I wasn’t even a twinkle in my dad’s eyes in the 80’s – so what would I know), this is not really relevant here in 2017. In comparison today, I would agree there is very little between the likes of British Airways and EasyJet, but for me, it’s about what the rewards system with OneWorld entitles me to and how far globally that reaches. Thus, providing me with one of the most important things – choice. Airline Tiers. With airline status, it’s worth being aware that there are normally three ‘tiers’ to any status and typically the middle tier is the one required for most of the benefits. However, whilst you can’t buy status, it can be relatively easy to achieve if you know how, especially if you willing to splurge once on a long-haul business class seat every 18 months or so. As well as the benefits associated with EasyJet plus, a common advantage of having status with an airline alliance is the use of Airport Lounges, something I am a huge advocate of from a productivity (and cost saving) point of view. If lounges interest you, take a look at the options provided by Priority Pass, American Express and even your package bank account. You can also drop me a line if you want a recommendation for your individual circumstances. Personally, I use both Priority Pass (included with my Amex Platinum Card) and my OneWorld status interchangeably, this works best for my circumstances, but I know several people who fly EasyJet combined with a Priority Pass and make this work well. The numbers 25 and 8 are a little arbitrary but serve as a decent guideline to where having ‘status’ with an airline becomes easily achievable. As I eluded to above, another way is to splurge once every 18 months or so on a business class long-haul. Sizes. The worldwide standard cabin bag size is approximately 55cm x 40cm x 23cm (approx. – some airlines use a cm or two each way) and this is certainly 3 numbers to remember when bag shopping. Arguably though this is shifting to smaller sizes around 50cm x 30cm x 20cm, to be safe on many of the more ‘basic’ airlines. Most airlines adopt some size between. In fairness to some airlines, Flybe included, this is due to the nature of the plane’s design and for a small ‘puddle jumper’ or prop based aircraft, the larger sizes physically don’t fit into the overhead bins anyway. I guess you could argue poor aircraft design. Ryanair actually has its own size in between the two, currently 55cm x 40cm x 20cm and along with Norwegian, they stipulate a maximum size for the second bag (often referred to as a ‘personal item’), which is 35cm x 20cm x 20cm and 33cm x 25cm x 20cm respectively. When compared to what EasyJet, British Airways and Iberia will allow, this seems tiny! Generally speaking though, if it fits comfortably under the seat in front, your unlikely to have an issue. If all the numbers, different sizes, and different weight restrictions were a little confusing, then you can Download a Cabin Baggage Size Guide that I have put together, as well as including all the airlines mentioned here, it also contains all other major carriers that operate in Europe. SAS, Air Berlin & Vueling are included, to name just a few more. Therefore, the reason I love to fly British Airways, Iberia & EasyJet, is not only the fact that I get a very generous weight restriction but also the maximum cabin bag dimensions of 56cm x 45cm x 25cm. This is as large as you will find anywhere! Cost. It’s likely that as far as factors go when choosing which airline to fly with, the size and weight of your hand baggage, may not be your only considerations. I wouldn’t be concluding this article well without mentioning the cost differences. Without a doubt, on most routes like for like, Ryanair is the cheapest product, shortly followed, or often matched by Norwegian. Not always, but often enough. For me though, I would rather pay the additional monies, sometimes as little as £10, and rarely more than £40 (short-haul) to either fly with EasyJet, Iberia or British Airways, even at times when Ryanair’s schedule is at a more convenient time of day. I say this coming from a philosophical point of view that I would rather just ‘keep it simple and stress-free’, travelling hand luggage only. I have flown both Ryanair and Norwegian in the past 6 months, both are cheap and simple when I am NOT flying with camera equipment. But whenever I am flying for work, it’s imperative I arrive stress-free, rested and in a good mindset. I put myself in the best possible environment – always. When choosing between EasyJet, British Airways and Iberia, I am simply looking at the combination of the route, time of day, and price. Coming to a conclusion based on the intersection between these three elements will be a personal opportunity cost for you. When passing through security, put your phone and headphones in a completely separate tray. When your camera bag gets stopped for a random search for ‘being too busy’, you’ll have something to do whilst you’re waiting. Sit in an exit row to avoid being asked to have bags/coats around your feet. Especially if you’re tall like me. When booking your exit seat over the wing, be sure to book the row in front if there are two rows (the middle if there are three rows). Children are not allowed to sit on exit rows, so you’ll have no-one kicking the back of your chair.